Prime Minister Narendra Modi has said that Indian films have successfully built the country’s brand world over depicting its soft power through films. He said the country entertainment industry presents all facets of human emotions which find resonance all across the world. 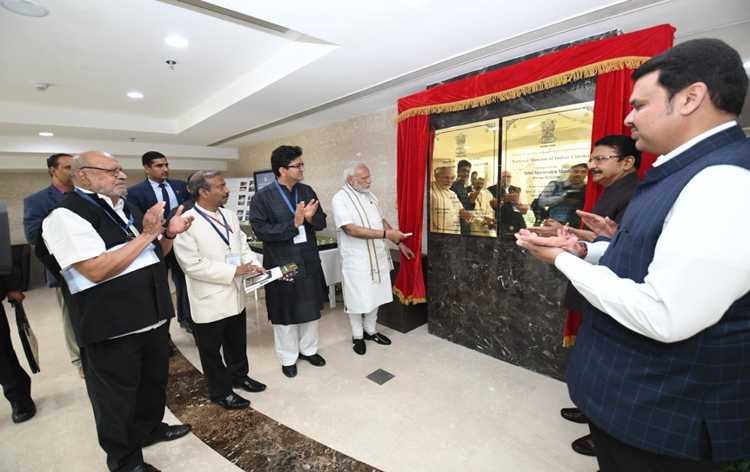 Speaking after inaugurating the country’s first National Museum of Indian Cinema (NMIC) at Films Division of India premises in Mumbai on Saturday, Mr Modi cited the example of Raj Kapoor, whose movies are loved the world over. The Prime Minister appreciated that the movies of the day present the optimism of New India which has a billion solutions to a million problems and challenges. Applauding the silent power of cinema in acting as a catalyst for bringing forth new thoughts and ideas in the minds of people, Mr Modi spoke about recent films on a variety of social subjects like toilets, women empowerment, sports, which were also commercially successful. He said that film industry has an enormous role in promoting tourism, which has the added benefit of employment generation. Mr. Modi said government is working on amending the Cinematography Act of 1952, to address the issue of piracy of films. He said the amendment will make the use of camcorders in recording films a punishable offence.